Learn all the basics you need to become Star Baker with this in-depth baking class for beginners! During the 4 hours, you'll create a range of classic cakes under the tutelage of an expert instructor. Although baking might feel like an intimidating science project to those without experience, the simple joy of creating cakes and pastries should be accessible to everyone! During this 4-hour hands-on home baking class in Glasgow, beginners will learn all the basics they’ll need to join in the fun, and become star bakers in no time. Whip up a variety of staples and classics fit for Mary Berry herself, and enjoy a complimentary lunch. Your experience begins at the state-of-the-art cook school, where you’ll be greeted with tea, coffee and cakes. You’ll then receive a brief introduction before donning your apron and getting stuck in to some baking! During the next 4 hours, you’ll learn all the techniques you’ll need to create a buffet of baked goods, from the ultimate Victoria sponge, to the perfect scones and muffins. In the middle of your baking session, you’ll break for a light lunch of soup and sandwiches. Finally, you’ll take your treats home in a beautiful presentation box at the end of the day. Impress your family with your creations – if you haven’t eaten them all by the time you get home! If you know someone who wants to take the Great British Bake-off from their television screen into their kitchen, then this is the gift for them! 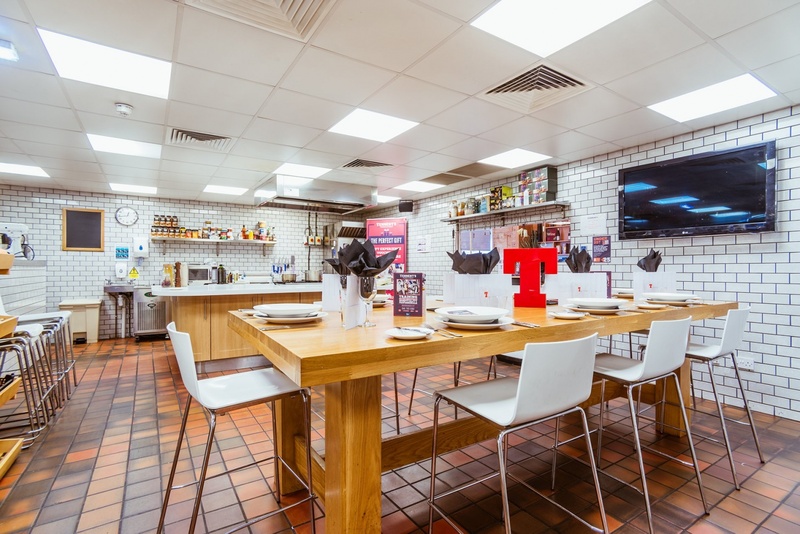 This home baking class in Glasgow also makes a fun afternoon out with friends. This baking masterclass is available on selected dates throughout the year, subject to demand and availability. Over 18's will be offered non-alcoholic drinks. The Glasgow Baking Masterclass will last for around 4 hours. Participants: The Home Baking Masterclass in Glasgow is for 1 participant. This baking class is not suitable for non-paying spectators. Please wear comfortable, casual clothes and flat shoes for the baking masterclass in Glasgow. Cooking equipment and aprons will be provided. This Glasgow baking experience is not weather dependent.